The #1 Gators dominate in the second game of their double header with the South Carolina Gamecocks 16-3. The Florida Gators finish up their double header with a route over the South Carolina Gamecocks 16-3. 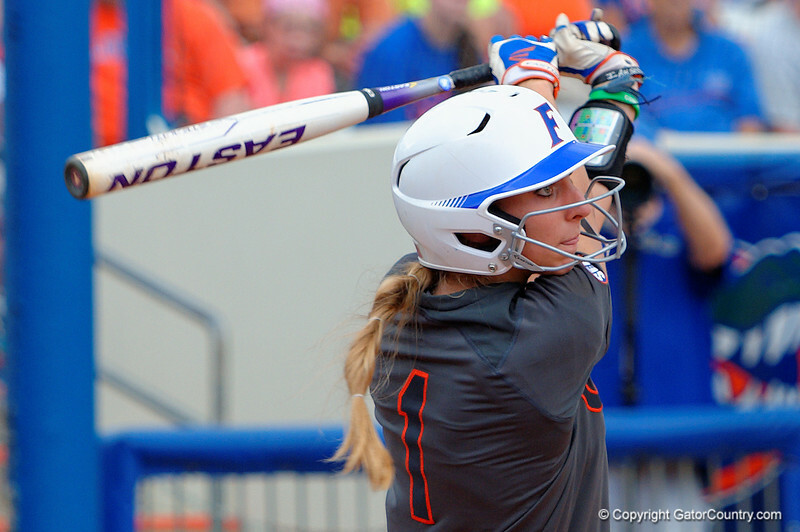 Florida Gators catcher Aubree Munro singles again during the third inning. Florida Gators Softball vs South Carolina Gamecocks. April 4th, 2015. Gator Country photo by David Bowie.